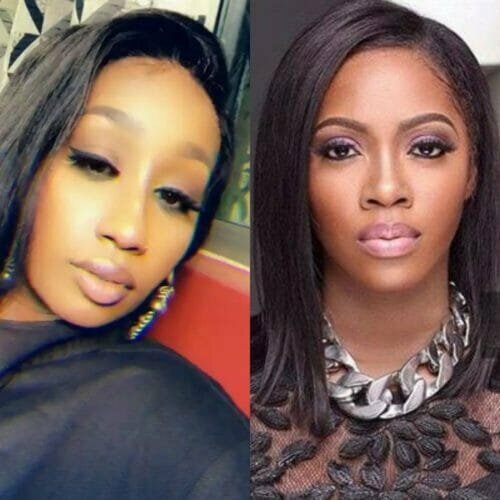 With the current heavily trending saga involving Victoria Kimani, Tiwa savage & other female artistes in the music industry continuing to show no signs of ending just yet, rapper; MI Abaga has come out to show support for Mavin diva; Tiwa Savage. The Chocolate City rapper took to his Instagram page to show support for the singer by putting up her picture on his page and upholding her achievements. He referred to her as a “king” and also explained that Tiwa has been a source of inspiration to him. “King @tiwasavage You inspire me. Your hard work and commitment to excellence will stand for all time. We are all blessed to witness the rise and rise of Tiwa!! !” he wrote as a caption to the Tiwa’s picture he posted. Meanwhile, if it is to be put into consideration that MI was one time the boss of Victoria Kimani when she was at Chocolate City, one would wonder why he has then resulted in showing support to Tiwa over the Kenyan singer. Watch your back Yung Denzel!